1. The hand-held spinner wand features a red and blue LED in the middle of the crystal ball, with 4 LED's attached at the ends of the spinning strings. 2. Simply press the button and watch the spinning light show begin! Batteries are included and installed. 4. Provides a lot of entertainment for kids, an awe strucking moment for them. 5. 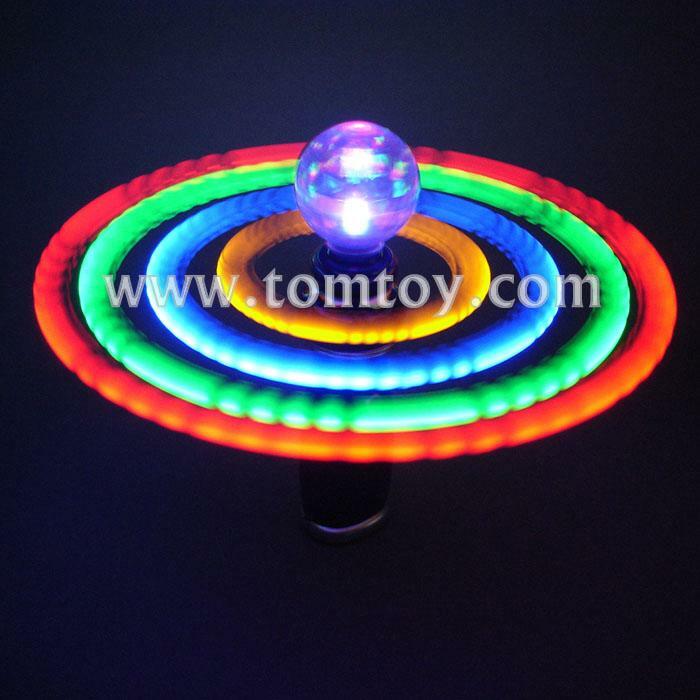 The figurines on the top of led spinner can be replaced by tiger, elephant, clown, santa clause, sowman, ball and so on. Also customized is available.